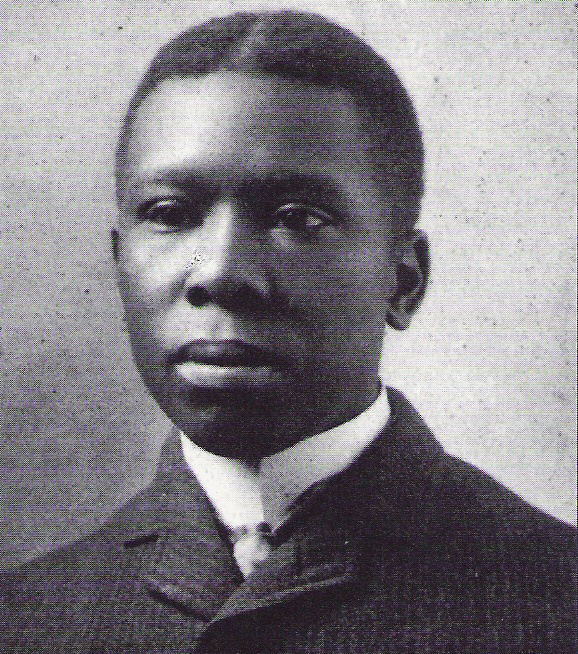 Renowned African-American poet Paul Laurence Dunbar rose from a poor childhood in Dayton to international acclaim as a writer and as an effective voice for equality and justice for African-Americans. He published hundreds of poems, as well as novels, short stories, and song lyrics. He counted among luminaries such as Frederick Douglass, Booker T. Washington, and his Dayton neighbors Orville and Wilbur Wright. Dunbar's personal story - and his writings - still are an inspiration to all Americans. Dunbar was born in 1872 to Matilda, a former slave, and Joshua Dunbar, who had escaped from slavery and served in the Fifty-fifth Massachusetts Infantry Regiment and the 5th Massachusetts Colored Cavalry Regiment during the Civil War. The family was poor; because Joshua could not find steady work, Matilda took in washing to keep food on the table, while young Paul and his two half-brothers performed odd jobs to supplement her income: gathering firewood, raking leaves, cutting grass. What Matilda could not provide in material wealth, however, she provided in inspiration to her sons. Her support and encouragement, as well as her love of songs, poetry, and storytelling, affected Paul - her youngest son - throughout his life. It was she who instilled in him the desire to achieve. And achieve he did. Dunbar wrote his first poem at age six and recited publicly at age nine. At Dayton's Central High School - where he was the only African-American in his class - Dunbar was named to the school debating society and became president of the prestigious Philomathean Literary Society. He also edited the school newspaper, High School Times, and wrote for various Dayton community newspapers. Despite his talents and education, however, Dunbar had difficulty finding work because of his race. He finally took a job as an elevator boy in Dayton's Callahan Building, and augmented his small wages by free-lance writing for various national newspapers and magazines. Dunbar quickly achieved a reputation in his hometown as a poet, and frequently was invited to recite his works for various clubs and organizations. In 1892, at the age of twenty, he published his first book of poetry, Oak and Ivy. Like most artists, Dunbar struggled to make a living. Oak and Ivy brought him a certain amount of praise and attention, but it did not afford him financial independence. He continued to work as an elevator boy, repaying his debt on the book's publishing by selling the volume for one dollar each to people who rode the elevator. He still sold poems to magazines, but the small compensation he received barely paid for the paper and pens he used to write them. Still, Dunbar's poems struck a chord in those who read them, often, people would recommend his books to friends, spreading word of Dunbar's talent little by little. An invitation to recite at the 1893 World's Fair introduced him to Frederick Douglass, who was in charge of the Haitian exhibit. Douglass gave Dunbar a job and later said that he considered Dunbar to be "the most promising young colored man in America." That sentiment was echoed by Dr. H. A. Tobey, the superintendent of the Toledo State Hospital, who had struck up a friendship with the young poet after reading Oak and Ivy. Along with Toledo attorney Charles Thatcher, Dr. Tobey provided money to publish Dunbar's second book, Majors and Minors, which caught the attention of the famous literary critic William Dean Howells. Howells' favorable review in Harper's Weekly made Dunbar a national figure literally overnight. Following Howells' review, New York publishing firm Dodd Mead and Company combined Dunbar's first two books and published them under the title Lyrics of a Lowly Life, for which Howells himself wrote the introduction. The republished poems won wide acclaim, increasing Dunbar's fame. Upon his return from a recitation tour of England, Dunbar married another young writer, Alice Ruth Moore of New Orleans, and took a job at the Library of Congress in Washington, D. C. But the tedious work was not to his liking, and the dust of the library aggravated a steadily worsening case of tuberculosis. Less than a year after taking the job, Dunbar quit the Library of Congress. Although he was supposed to rest, Dunbar devoted all his time to writing and giving recitals. Now a national recognized writer, Dunbar was hard pressed to keep up with the demand for recitals and new works. Some of his poems were written in Southern dialects, reflecting his mother's storytelling influence, as well as his habit of listening to other people's speech patterns. Other poems were written in classic English. No mater what language he used, Dunbar wrote about the joys and sorrows of life - especially the difficulties experienced by members of his race. Both his work and his life were becoming symbolic of the African-American struggle for equality in the United States. Dunbar often wrote and spoke about civil rights issues, just as his friends Booker T. Washington, W. E. B. DuBois, and Charles Chestnut did. His poem, "We Wear the Mask," eloquently states some of his concerns. As Dunbar's fame increased - he even was invited to ride in William McKinley's inaugural parade - his health declined. Still, Dunbar was driven to keep working, which took its toll: In 1906, at the age of thirty-three, Dunbar succumbed to tuberculosis at his Dayton home. Matilda Dunbar lived in the house until her death in 1934. Two years later, the Ohio Legislature dedicated the house as a memorial to Paul Laurence Dunbar, delegating its care to the Ohio Historical Society. In 1938, the home was opened to the public. In 2003, the Ohio Historical Society unveiled a restoration of the home that achieved a high degree of authenticity to the way it appeared when Dunbar lived there with his mother. Primary research and new technologies were used to determine original finishes inside and outside the home. Among items on display are Dunbar's bicycle built by the Wright brothers; the desk and chair where the poet composed much of his work; his collection of Native American art; and a ceremonial sword presented to Dunbar by President Theodore Roosevelt. The memorial's permanent exhibit spans many stages of the writer's life, from the shy, wide-eyed young poet of youth to the prominent national spokesman he became. The Paul Laurence Dunbar home in Dayton has been restored to appear as it did when he lived there, including rooms furnished with his own possessions. The site also hosts frequent programs on Dunbar, his legacy, and African-American history.